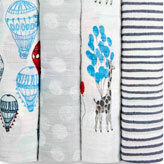 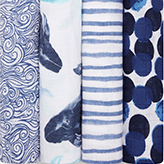 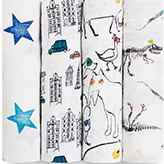 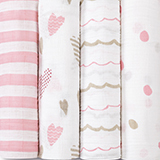 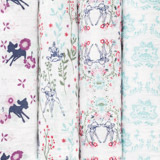 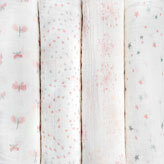 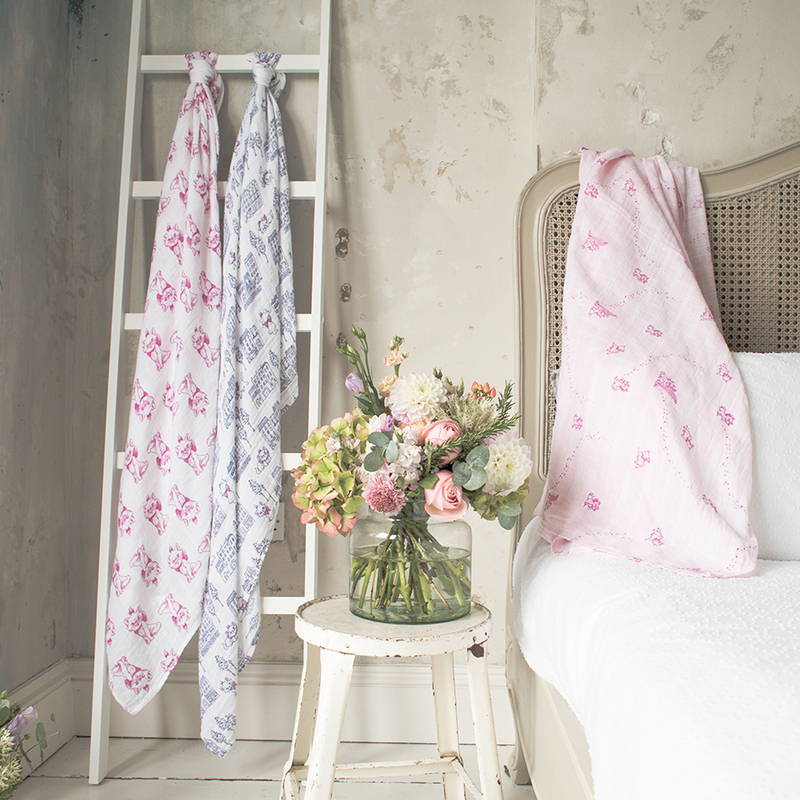 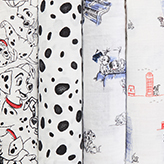 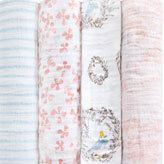 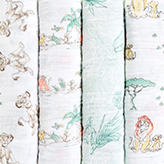 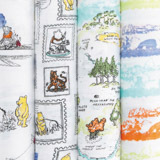 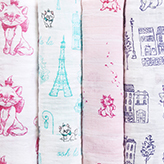 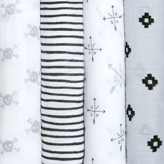 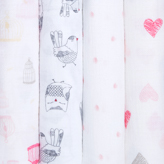 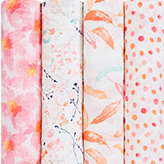 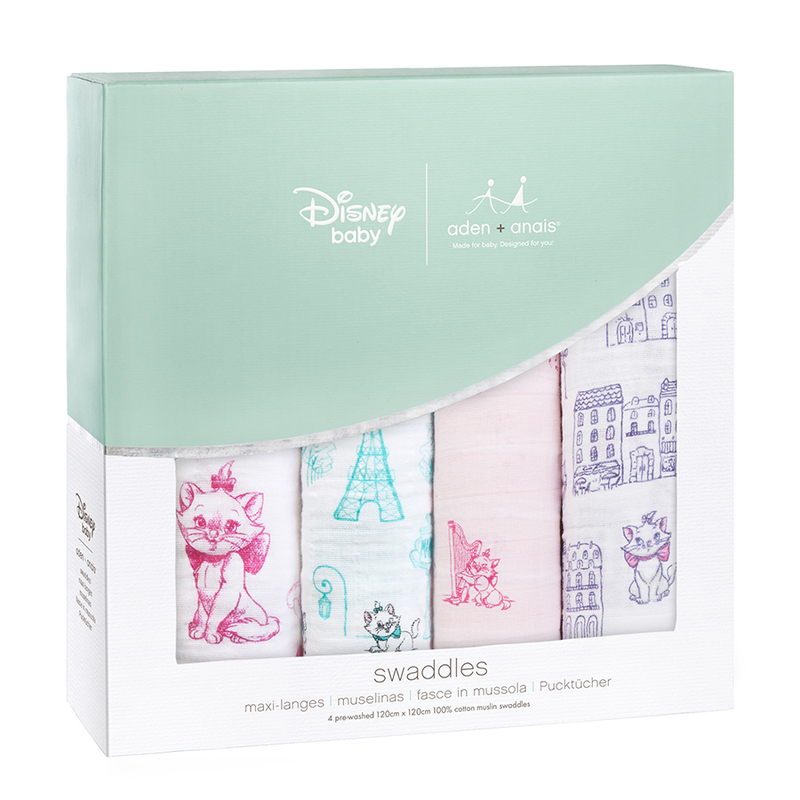 aden + anais muslin swaddles are now even more magical with this whimsical collection that captures the sassy spirit of Marie, the fancy feline featured in Disney’s The Aristocats. 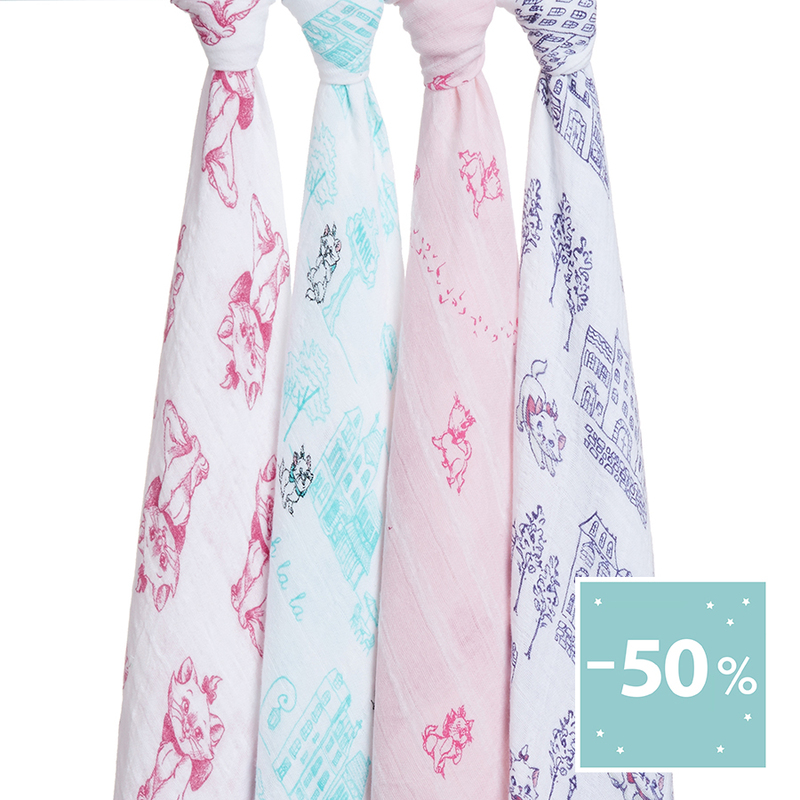 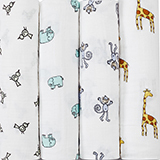 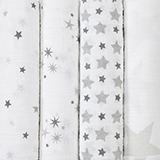 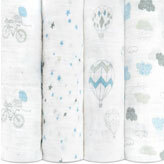 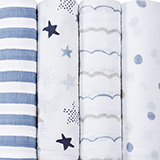 Breathable, versatile and soft as a mother's touch, our 100% cotton muslin baby swaddles simplify what can be a chaotic time. 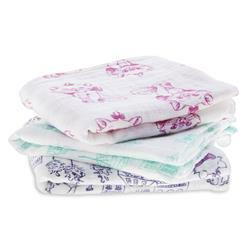 No matter how you're using them—pram cover, burp cloth, baby blanket or nursing cover to name just a few—they surround your little one in comfy goodness round the clock.